Xiaomi Redmi Note series is very much popular in India and they have written many achievements through that series. Their last device in the series for the Indian market was Redmi Note 5 Pro and that saw a huge and now when the company has launched Redmi Note 6 Pro in the market it seems they are all set to repeat the success once again. As reported by Flipkart (official online partner) Redmi Note 6 Pro 6,00,000 Units has sold in their first sale. 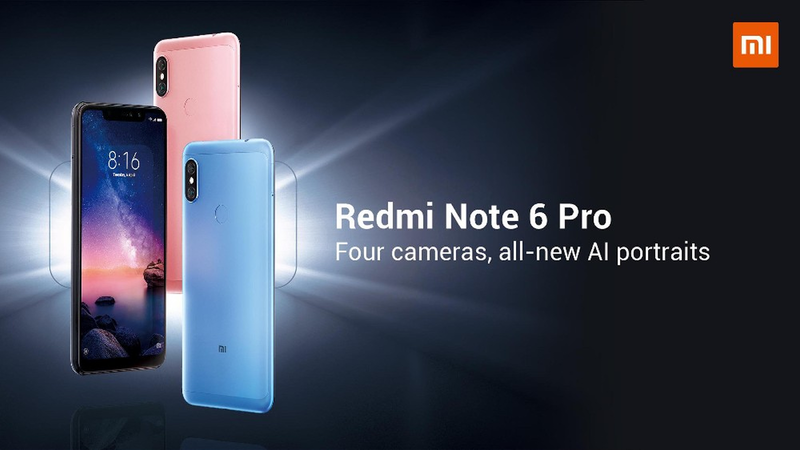 Xiaomi launched the Redmi Note 6 Pro in India a couple of days ago, and with the reported numbers we can say that the device has so far been a resounding success in the subcontinent and expected to create the history of success once again for the company. Before we move ahead it is important to state that the device has not seen big upgrade overall from their last generation Redmi Note 5 Pro, expect the introduction of the notch in this year device. We can say that the first sale of the device was a huge success with reported numbers. Xiaomi expects to sell even more in upcoming sales. How far the device will go only time will tell but currently, we can say that start is great. As per our analysis, we found that extra discounted price of the device can be one of the biggest reasons for the huge response towards the device. Upcoming sales will let us know the customer attraction towards the device. As far as the configuration of the device is concerned, the device comes with a 6.25-inch 1080x2280 notched touchscreen, the Snapdragon 636 chipset, 4GB of RAM, 64GB of expandable storage, a 12 MP main rear camera with f/1.9 aperture and 1.4µm pixels, a 20 MP main selfie shooter with f/2.0 aperture, and a couple of depth sensors for bokeh - one on the back, one on the front. It has a 4,000 mAh battery and runs Android 8.1 Oreo with MIUI 9 on top. With the starting price of INR 13,999/- the device is a good deal. For all the latest information from the mobile market visit App Gyaan on daily basis.